Invision Sales is a lighting technology provider, specialising in mining, industrial, transport and automotive markets. Invision is the exclusive distributor of Philips Automotive Lighting, JW Speaker LED products and Invision Headlight Restoration programme. The company imports and distributes JW Speaker LED worklights, HID worklights, rear lighting, LED emergency strobes, mining bars and back up alarms. The firm also imports and distributes headlight upgrade globes, standard replacement globes, Xenon HID globes and Philips LED products. Invision Sales works closely with a range of distributors in Australia, New Zealand and Indonesia to achieve a structured distribution approach to the market. The company provides extensive product training and hands-on presentations designed to equip the trade with the technical knowledge required to choose the best lighting option. Invision Sales understands that every work environment is different and many factors must be considered when selecting a lighting solution to best illuminate for vision, productivity and safety. Invision offer a free lighting consultation to ensure the optimal lighting solution for all conditions. From the right LED driving lights to workshop and workplace illumination, Invision will tailor the ideal lighting solution to meet your requirements. When Invision Sales prepares a lighting solution for your business or work site, it is done using sophisticated 3D CAD software to create an accurate simulation of your environment. Our engineers have the complete range of JW Speaker LED worklight specifications programmed into sophisticated 3D simulation software. Once your work site environment is created, we place lighting options into your virtual workplace or vehicles to design a lighting solution that is precise and accurate. The lighting simulation means we are able to predict exactly how a particular light unit will perform and how effective it will be. This process is a free consultation provided by Invision Sales with the aim of ensuring the optimal lighting solution is designed and implemented. JW Speaker is a leading manufacturer of LED worklights and associated products in the US, supplying a wide range of major companies with new technology lighting products. Focused on engineering lighting solutions, the JW Speaker range meets the diversity of market demands, using sophisticated optics and light sources. The company specialises in advanced product design and manufacture with a complete in-house facility. 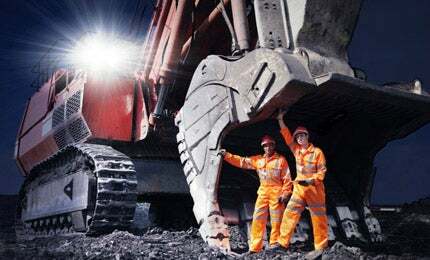 JW Speaker is a world leader in the design and development of high-powered LED worklights and scene lights with an impressive range of products to meet the needs of the mining sector. The range includes LED worklights, LED scene lights, LED emergency lights, mine bars, red zone warning lighting, number boards, reversing alarms and LED rear lighting. Since the introduction of the first Philips lightbulb more than 120 years ago, innovation has been at the core of the company. The Philips commitment to deliver lighting technologies that make vehicles safer at night is seen in the wide range of high-performance and LED developments. The company’s lighting range includes high-performance upgrade globes, replacement halogen globes, replacement incandescent globes and LED retro-fit lighting. The Headlight Maintenance Programme by Invision Sales has been designed specifically to restore plastic headlight lenses to a new condition with the result of also improving the light output. Offering three different sized kits, the programme allows anyone to remove the corrosion and then re-seal the lens with a new UV protective coating to renew the plastic. The kits include all cleaners, sandpaper, polishing cloths, UV resurface coating and detailed instruction sheets. After a restoration, headlights are clearer and the performance dramatically improves.